n February 2017 the UK employment rate hit record levels – yet businesses continue to warn of an impending skills gap which is only going to get worse. Many sectors are continuing to struggle to recruit the trade and technical skills they need, with some industries missing almost an entire generation of talent in their workforce. For policy-makers and business leaders, solving this conundrum is the challenge of the 21st century. What role can training and skills play in finding a solution? One possibility is to boost job-relevant vocational skills and education – yet this continues to be an area where the UK falls behind our international competitors. However, in recent years, awareness has grown among employers of the importance of investing in their people to help bridge the skills and knowledge gaps in their organisation. Apprenticeships are no longer reserved for hands on or technical professions, but can help develop expertise in every sector at every level from accounting to retail to engineering. They are generally the most cost-efficient way to deliver workforce training because employers often see a return on investment very quickly, plugging skills gaps with well-trained professionals. The multitude of benefits that apprenticeships can bring to a business not only include improving the skills base, but also reputational benefits, increased staff retention and improved social mobility – not to mention the overall increase in their competitive advantage. City & Guilds have been supporting businesses on the design and delivery of apprenticeship programmes since 1848 – and despite all that time passing, the fundamentals remain the same. We believe that to make the most of your apprenticeship offer, businesses should see this as part of a long-term approach to growing and strengthening the workforce. What does this mean for HR teams? It requires careful consideration of how apprentices can be incorporated into achieving your business plans. Overnight change is impossible: we advise the employers we work with to consider their people plan for the next 3-5 years and map those to the available apprenticeship standards to ensure they meet business needs now, and will continue to do so in the coming years. With the introduction of the new Apprenticeship Levy – which puts more of the cost onto employers – and the impending impact of Brexit on access to the migrant workforce, it has never been more important for organisations to better understand how to plan and implement high quality apprenticeship programmes for the benefit of their business. 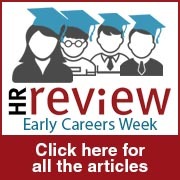 The emerging system is legally complex and will be difficult for some HR teams to navigate. Research published by City & Guilds in February found that a third of employers were completely unaware of the new levy. To bridge this gap, what do HR professionals need to know about the levy? Firstly, restrictions on levy funds mean that they can only be used for training and assessment costs for apprenticeships; they cannot be used to pay apprentices’ wages or any other type of training. In addition, the funds can only be spent on Government-approved providers. One solution for organisations is to register as an approved employer provider. The main advantage of this approach is that it gives organisations the flexibility to tailor your offer to ensure it meets your business needs – delivering the skills at the level you need to build your skills base and develop your staff. This option does, however, come with the responsibility of meeting audit requirements and standards as defined by Ofsted and the Institute for Apprenticeships and Technical Education (IfATE). Alternatively, employers can select an existing Government-approved provider via the online Funding Apprenticeship Service (FAS) portal. This holds performance data including Ofsted ratings to help you select the best provider for your needs. It also allows you to negotiate how your apprenticeships will be delivered – employers can choose to work closely with a provider to design a bespoke programme or opt for an existing one – as well as the fee and payment schedule. As with all other commercial agreements, this agreement should be carefully considered and evaluated. At City & Guilds we would always recommend that all employers and providers have a legal contract reflecting the outcome of this. Secondly, organisations have to consider how the content of the apprenticeship is delivered and how progress is measured and assessed. End Point Assessments are an essential part of delivering a high quality programme. At City & Guilds, we have long been planning and investing in the development of End Point Assessments and we believe it is vital that these involve a strong focus on the needs of the future market place. If delivered well, they provide a much more holistic assessment of the practical competence of each apprentice. Finally, it is vitally important that once an apprenticeship is completed the learning does not stop. Every employee should have a development plan – and this includes newly trained apprentices who need to understand where their career can take them and how they can get there. Apprenticeships can also be a valuable tool in the personal development plans of your existing workforce. Managing an apprentice can be a great development opportunity for more experienced staff to keep them engaged, as well as a vital learning opportunity for apprentices. For many HR professionals all too used to struggling through Government-led reforms, the implementation of the Levy risks being seen as yet another headache. However, investing in skills and training can pay dividends to any organisation. Ultimately, apprenticeships are an asset to any organisation and can bring significant benefits to a business and existing workforce. With widening skills gaps across a vast array of sectors and the impact of Brexit threatening only to exacerbate those problems, the time is now for employers to take the leap. Establishing a high quality apprenticeship programme could boost their workforce and skills base for the future. It gives businesses the chance to improve the productivity of their business – and make an impact on the bottom line.